The Chattanooga Rescue Mission has been in the city of Chattanooga ministering to the physical, emotional, and spiritual needs of the homeless in our community since 1975. Our Steps of Faith Discipleship Program (SDP) exists to help those in need of overcoming drug and alcohol addictions. Our facilities enable us to house 46 men in our shelter and 10 in our men’s SDP dormitory. The women’s shelter can accommodate 23 women. This enables us to house a total of 73 men and women in our shelters and SDP program. Last year we served about 34,000 meals and supplied about 25,000 beds for our guests. At the Chattanooga Rescue Mission, we believe that God’s Word has all the answers to man’s sin problem. It is our goal to share God’s saving grace with all of our guests. One of the first steps in this process is providing food, shelter and clothing to those in need. As we meet these basic needs, we pray that God will open their hearts to any spiritual needs that they may have. The Chattanooga Rescue Mission has the only totally free Temporary Emergency Overnight Shelter (TEOS) open year-round in our city serving men, women and young children. While there are other organizations that give assistance in this area a person generally has to wait to be placed; therefore, he or she can not be helped in an emergency situation. With the rise of socio-economic issues: the increase of foreclosures, job losses, rampant alcohol/drug abuse, etc. the need for temporary shelter has probably never been greater. 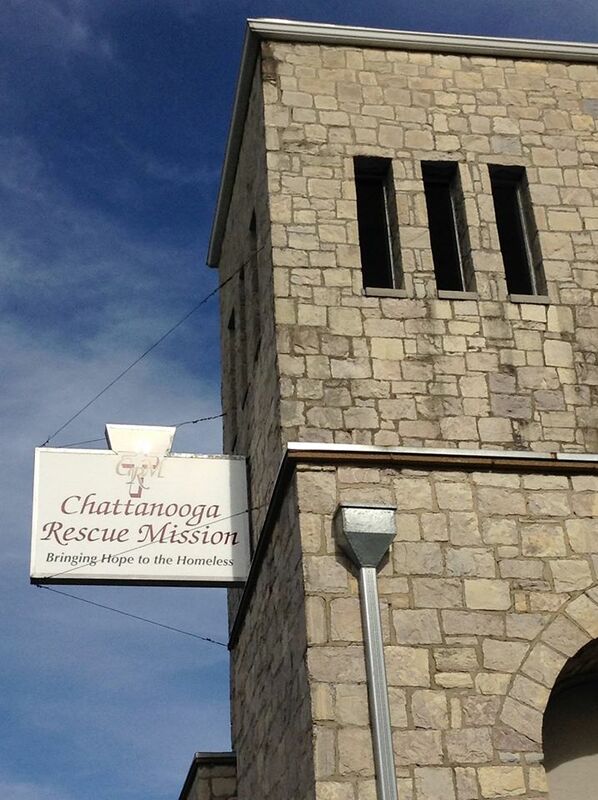 The Chattanooga Rescue Mission is seeking to do more to meet the burgeoning needs that have arisen. At any given day, there are approximately 600 people who are homeless in the greater Chattanooga area and we are grateful to play a small part in meeting the needs here in our city. If you would like to play a part in helping the homeless, please contact us through the form below or call our office at 423-756-3126.